Sherry is one of our most recent additions and joined our team in 2015. Prior to coming to Downing Tax & Financial, she worked for over 20 years in the banking industry. She managed large portfolios as well as provided a full range of banking products and services to both personal and business clients. Building client relationships by listening and understanding the client's needs is a strength of hers that we feel partner's well with our philosophy at Downing Tax & Financial. 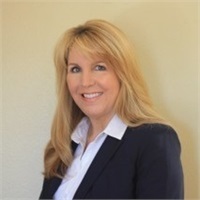 Sherry is responsible for many of the daily operations including the payroll and bookkeeping services, tax administrative support and many other aspects of the business. She is also a Notary Public. Sherry is very excited to move her professional career into the Investment sector. Her family and friends always comes first and during her free time, Sherry enjoys spending as much time outside gardening, hiking and most of all, camping! She also enjoys playing racquetball and soccer.